A serious vulnerability in WhatsApp allows anyone who is able to eavesdrop on WhatsApp connection to decrypt users' messages. 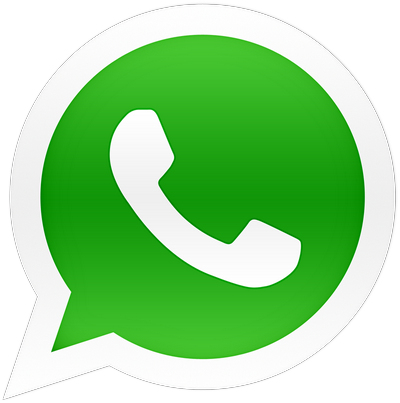 Whatsapp, the mobile application for instant messaging platform has become one of the main communication tools of the present day and its popularity makes it attractive for security researchers and hackers. This time it is debated in the protection of the messages exchanged through the application, thanks to a vulnerability in the crypto implementation they can be intercepted by an attacker. Thijs Alkemade is a computer science student at Utrecht University in The Netherlands who works on the open source Adium instant messaging project, during its research activity he disclosed a serious issue in the encryption used to secure WhatsApp messages. In the post titled "Piercing Through WhatsApp’s Encryption" Alkemade remarked that Whatsapp has been plagued by numerous security issues recently, easily stolen passwords, unencrypted messages and even a website that can change anyone’s status. "You should assume that anyone who is able to eavesdrop on your WhatsApp connection is capable of decrypting your messages, given enough effort. You should consider all your previous WhatsApp conversations compromised. There is nothing a WhatsApp user can do about this but expect to stop using it until the developers can update it." states the researcher. An attacker sniffing a WhatsApp conversation is able to recover most of the plaintext bytes sent, WhatsApp uses RC4 software stream cipher to generate a stream of bytes that are encrypted with the XOR additive cipher. WhatsApp adopts the same key for the incoming and the outgoing RC4 stream, "we know that ciphertext byte i on the incoming stream xored with ciphertext byte i on the outgoing stream will be equal to xoring plaintext byte i on the incoming stream with plaintext byte i of the outgoing stream. By xoring this with either of the plaintext bytes, we can uncover the other byte." The technique doesn't directly reveal all bytes but works in many cases, another element that advantage the attacker is that messages follow the same structure and are easy to predict starting from the portion of plaintext that is disclosed. The second issue related to the HMAC id more difficult to exploit, Alkemade said WhatsApp also uses the same HMAC key in both directions, another implementation error that puts messages at risk, but is more difficult to exploit. The MAC is used to detect data alteration but it is not enough to detect all forms of tampering, the attacker potentially could manipulate any message. "TLS counters this by including a sequence number in the plaintext of every message and by using a different key for the HMAC for messages from the server to the client and for messages from the client to the server. WhatsApp does not use such a sequence counter and it reuses the key used for RC4 for the HMAC." “There are many pitfalls when developing a streaming encryption protocol. Considering they don’t know how to use a xor correctly, maybe the WhatsApp developers should stop trying to do this themselves and accept the solution that has been reviewed, updated and fixed for more than 15 years, like TLS,” he said. I agree with the thinking of the researcher, security for applications such as WhatsApp is crucial given its level of penetration, it is true that the interest of the scientific community and cybercrime will surely lead them to discover new vulnerabilities to which WhatsApp have to provide a quick solution. Alkemade confirmed that there is no remediation for the flaw in this moment, that's why he suggest to stop using WhatsApp until developers produce a patch. Beware ... This is a very serious risk to your privacy!